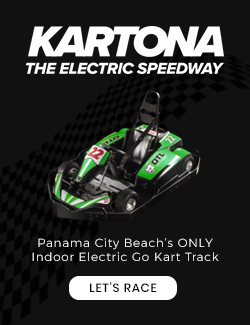 The Visitor’s Maps bring all of the excitement of Panama City Beach, Panama City and the surrounding areas and puts it all in your back pocket. The printed Visitor’s Maps are Free and are available in over 600 locations all around the area. Here online, we highlight the amazing places to eat, the exciting things to do and see, the myriad of available accommodations and a popular Calendar of Events for the beaches and beyond! Always bringing you the Shortcut to the Good Stuff, the Visitor's Maps' Panama City Beach Calendar of Events also includes events in Panama City, St. Andrews, Pier Park, Grand Lagoon, Rosemary, SeaSide, Greyton Beach and surrounding areas. Click here to view the full calendar! Over the last few years, Panama City Beach & Panama City have seen tremendous growth and a great deal of that growth is the large number of condominiums that have been built directly on the Gulf of Mexico and across the street from the beautiful beaches. 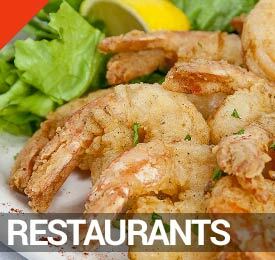 There are hundreds of Restaurants in Panama City Beach and almost everyone wants fresh seafood plucked like hand shucked oysters, sweet gulf shrimp, and flaky grouper pulled right from the pristine waters of the gulf! 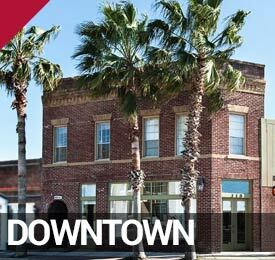 Our quaint, southern beach town has some of the best shopping usually found in large, metropolitan areas. Ranging from quaint Mom & Pop artist galleries to the expansive shopping and entertainment complex, Pier Park shopping in Panama City Beach is awesome! Why relax on the beach the entire time that you’re on vacation? 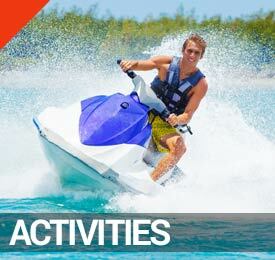 There are tons of Family Activities in Panama City Beach that will both thrill and delight kids of all ages. 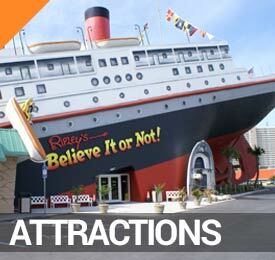 Rent a pontoon boat, go deep sea fishing, dive the jetties and even sail on a Pirate Ship! 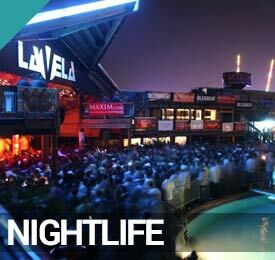 The nightlife in Panama City Beach features some of the best evening entertainment anywhere! 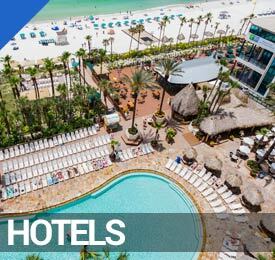 Home to one of the largest nightclubs in the US, there are plenty of fun and exciting places to take a load off, kick back with a fine tropical cocktail and party the night away. 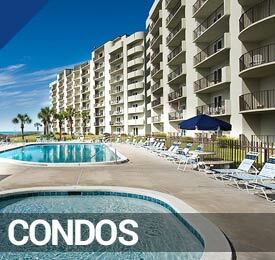 Hit the beach, hit the links! 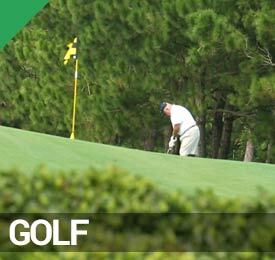 There a few amazing Golf Courses in Panama City Beach for golfers looking to spend a day on the greens while at the beach. Choose from championship courses designed by golf legends or choose to knock a few around on a lighted Par 3. If you know of an event that is not currently listed on our calendar, let us know about it. Gather your event info and visit the Submit An Event page and we will be happy to add your event to our calendar for Free! Located just minutes away from all of the hustle and bustle of the beach, Downtown Panama City is a showcase of classic Florida. The wide streets of downtown are lined with shops and great restaurants, as well as some of the largest antique stores in the area. 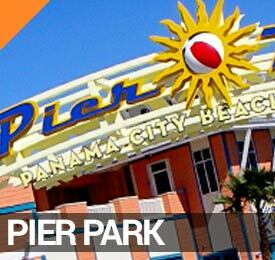 Most travellers to the area will visit Panama City Beach’s largest shopping and entertainment complex, Pier Park. Packed with shops often found in larger cities, quiant boutiques, great restaurants and plenty of family fun activities, Pier Park is the place to be. 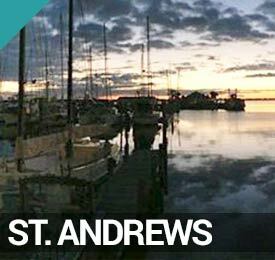 St. Andrews is actually located within Panama City and sits directly on the St. Andrews Bay. Featuring some of the most popular restaurants in Panama City, St. Andrews is also famous for their weekly Farmer’s Market and unique shops and boutiques. Be a part of nature and visit all of the state parks that surround Panam City Beach. 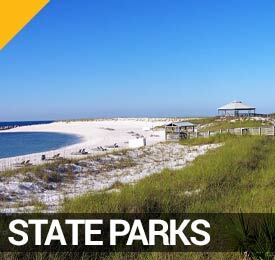 Take in some of the most beautiful parts of North Florida with a hiking exursions along the beach or the forest. Keep your eyes peeled while hiking through the parks as wildlife abounds!